India has set up a National Testing Agency (NTA) to conduct the National Eligibility and Entrance Test (NEET) and Joint Entrance Examinations (JEE) twice a year. Teachers and students in the UAE welcomed Minister for Human Resource Development Prakash Javadekar's announcement on Saturday. At present, these exams are organised by the Central Board of Secondary Education (CBSE), but the board has been plagued with controversies of paper leaks. Javadekar has promised the new system would be "fool-proof". The NEET, the entry to the 33,000-odd seats in government medical and dental colleges across India, will be held twice a year - in February and May; while the JEE (Mains), which is for entry to engineering colleges, will be held in January and April. 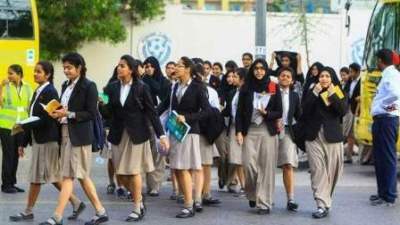 Since the exams are conducted just after the CBSE board examination, students from the UAE and the wider Gulf region take a year-long break to prepare for it. Students and teachers here have welcomed the decision, saying it will help applicants avoid the long break. Mathematics teacher at a school in Sharjah, Bindu Balakrishnan, said: "A six-month period to prepare for the exams is better than a one-year gap. Many students take 10 to 11 months to prepare for the tests, and not all of them would be able to remain focused for that long." Neha Roopkumar, a Dubai-based student who completed Grade 12 and is planning on taking a year-long break to write the exam, said: "It is good that we would be able to attempt the exam twice a year, and the best would be chosen. But these exams are highly competitive." Avelyn Kishore, the UAE Grade 12 topper and former student of Our Own English High School Sharjah, attempted the NEET this year and secured a high rank. "The paper would now most definitely not be biased towards CBSE students. Since many of the direct questions were from NCERT textbooks, state board students were at a disadvantage. It can actually get tougher, as they are raising the standards year after year." Meanwhile, coaching centres offering training for students attempting the NEET and JEE said they are still researching the new reforms. A secretary at one of the centres said: "The announcement was just made. We need to fully learn about its implications before reacting."